Big chain grocery stores are beginning to realize that the needs and desires of customers have changed. In the past, people may have selected products because they happen to favor a certain brand. Today, families want to be able to access food that is healthy for their families. Kroger, perhaps influenced by this change, is launching a fresh foods concept. Kroger is launching a new, smaller, banner store called Main & Vine. It is described as a place “where eating is healthy, affordable, and fun!” The Main & Vine website shows lovely photos of fresh produce, and has a limited amount of information about the store. The very first Main & Vine store will be in Gig Harbor, Washington, in the Seattle area. The store will be 27,000 square feet. It will include the big brand “staples” that many consumers are still buying. In addition, Main & Vine will have fresh, organic, and local foods. Produce and bulk sections will be located in the center of the store. That’s a big change from where most grocery stores put that section – off to the side. It appears to be more than a just another grocery store. Main & Vine will offer prepared foods. It will have a coffee, wine and beer bar, and a dual level cafe area. This makes Main & Vine sound like a good place to hang out and meet people, either before or after you shop for healthy groceries. The one and only location of Main & Vine that Kroger is starting with is obviously being done as a test. If it is successful, there is the possibility that Kroger might choose to roll out more Main & Vine stores in other states. So far, there is no information at all about where those additional locations may appear. Some speculate that Kroger, who acquired Roundy’s Inc. (a chain of supermarket stores in Wisconsin and the greater Chicago area) might be considering turning those stores into brand new Main & Vine locations. Again, this is speculation – not fact. The Main & Vine stores are not the only thing Kroger has done to improve the quality of foods that are available to its customers. Kroger’s Simple Truth is the largest organic brand in the United States. Kroger’s popular organic brand was less expensive than similar products from Whole Foods. Several decades ago, people decided what food to buy for their families based on little more than the brand. Today, parents read the ingredient labels on food, in search of the healthiest choice. They might choose products from General Mills, who has made an all-natural pledge. Why would a big company like General Mills be making that kind of promise to consumers? It could be due to a growing concern on the part of many consumers about the ingredients that are in the foods they purchase and feed to their families. Over the years, many families have started selecting foods that they perceived to be natural over ones that had a lot of artificial ingredients. In September of 2015, General Mills created a gluten-free version of its popular Cheerios cereal. Their ad featured Phil Zietlow, who is a 50-year veteran of the research and development team at General Mills. He discovered that his daughter-in-law, Joyce, cannot eat gluten. (She has celiac disease). So, he set out to create a Cheerios that she (and others like her) could safely eat. 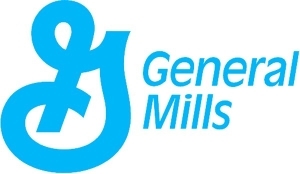 General Mills is also keeping consumer’s preferences regarding natural foods in mind when it acquires other brands. General Mills acquired Annie’s, which is a brand that makes organic snack products. A few of their products (including two types of macaroni and cheese and two flavors of cookies) are gluten-free. When can you expect to see the new, healthier, General Mills cereal products on the shelves at your local grocery store? The changeover will not be instantaneous. General Mills has indicated that it would eliminate the questionable ingredients from all of its cereal products by 2017. That being said, it is possible that some of the new versions of their famous cereals will appear in 2016. It is a good idea to read the ingredient labels before you make your purchase. Another option for health conscious consumers is to buy cereal from other brands that already have removed the artificial ingredients. This is an area that is likely to have a lot of competition in coming years. How do you cope when you are feeling stressed out? Many people resort to emotional eating. They aren’t actually hungry, but the act of eating, and the taste of the food, brings some comfort. Emotional eating might lighten your mood but it can reach a point where it is unhealthy. Here are some tips to help you avoid emotional eating. 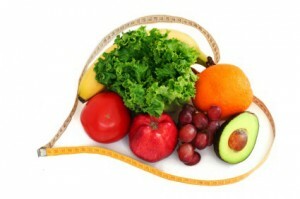 Are you looking for something to eat because you are stressed out or because you are actually hungry? One way to figure that out is with the apple test. 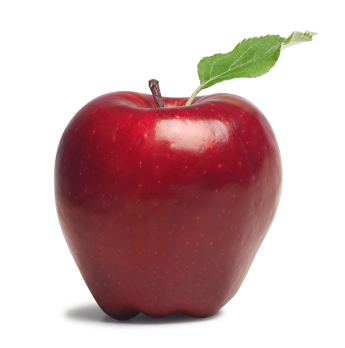 If you truly are hungry, an apple is going to sound just as good as any other snack option. If you don’t want the apple it means you aren’t actually hungry and are about to engage in emotional eating. The apple test works because it forces you to consciously think about the motivations behind your sudden interest in snacking. Being aware of the reason why you are wanting food can help prevent you from engaging in emotional eating. Is there a specific food that is your go-to when you are experiencing emotional struggles? Don’t bring home that particular food. It can be super easy to grab something out of your kitchen when you are feeling stressed out. The accessibility of the food brings instant gratification. If you don’t have your go-to food at home, you cannot possibly use it for emotional eating. It might not feel worth it to leave your home in order to obtain that food. Another way to avoid emotional eating is to substitute your favorite comfort foods with healthier versions. This might help you to get the taste or consistency of what you are craving in a smaller amount (and possibly less calories). Dark chocolate is a good substitute for milk chocolate. Choose a dark chocolate that is at least 85% cocoa. The rich taste of dark chocolate will satisfy your craving quicker than milk chocolate would – so you end up eating less. This is just one example of how to substitute a comfort food with a heather version. Have you figured out that you aren’t actually hungry – but still feel like your comfort foods are calling out to you? Swap that food with an activity. Play a quick match-three game online. Go for a short walk. Take five minutes to write in a journal. These easy to do distractions engage your mind in something unrelated to food. One of the ways people celebrate the holiday season is with food. Suddenly, there are seasonal pastries, beverages, and goodies that aren’t sold at any other time of year. The plethora of tasty treats can make it difficult for people to refrain from overindulging. Fortunately, there are some simple swaps that could help you eat a bit healthier anyway. Christmas cookies are tempting because they taste good and also because they bring up nostalgic, warm and fuzzy, feelings about one’s childhood. While some can eat one cookie and be satisfied, others have difficulty stopping themselves after having just one. 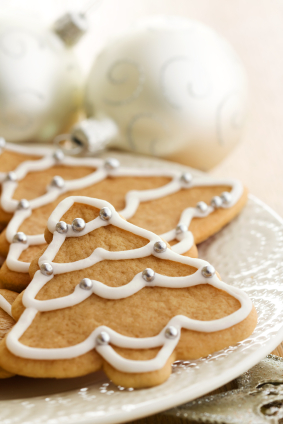 The most obvious way to stick with healthy eating in this situation would be to avoid bringing home Christmas cookies, (or other holiday pastries). Swap the sugar filled holiday cookies with a package of organic whole grain fig bars. You can still eat something sweet and cookie-like with this healthier swap. Craving a salty, crunchy, snack? Many people open a bag of potato chips and eat more than they expected to. Instead, swap out the potato chips and choose a somewhat salty snack that is healthier (and just as crunchy). Some healthier choices include: popcorn that has been air popped, packaged low-salt, low fat popcorn, or seasoned rice crackers. Nuts and seeds are a good swap too, because the protein in them can help make you feel less hungry. Does your family eat a lot of rice? While there isn’t anything inherently unhealthy about white rice, there is a healthier rice to swap it for. Brown rice has three times as much fiber as white rice does. Brown rice is also high in other good things for your body, such as selenium and manganese. Rice might not be something everyone considers to be a holiday treat. However, swapping white rice for brown rice could give you “room” to indulge in a small cookie or holiday candy without completely ruining your diet or calorie count. What about all those lovely holiday beverages that are only sold at this time of year? When you order your holiday coffee swap out the dairy milk with 2% or low-fat milk. Or, consider having it with soy – or without anything extra added to it. It might be possible to get the flavor you crave from a holiday tea instead of a sugar laden latte. For example, Starbucks has a lovely gingerbread tea that makes a nice swap for the sugary gingerbread latte coffee beverage. If all else fails, choose a smaller sized drink than you typically would ask for. Less beverage means at least a little bit less calories. Over the years, there has been a growing number of people who take the time to read the ingredients on food labels. 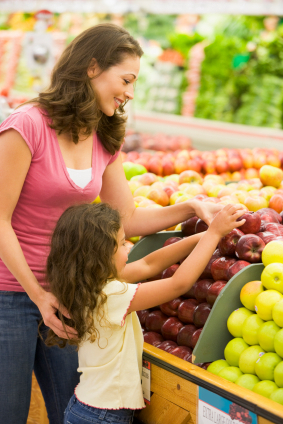 We all want to feed our families the best, healthiest, foods. Aldi understands this. The grocery store has removed foods that contain undesirable ingredients. Aldi has its own private label of products. More than 90 percent of the products sold at Aldi are the ones they sell under their exclusive brands. The private label has been good for consumers because it enables Aldi to keep prices low. The private label also allows Aldi to have significant control over what is sold on its store shelves. Aldi has the ability to control the ingredients in its private label brands. The grocery store chose to remove ingredients that many of its customers identified as undesirable. Aldi made the announcement after they actually started making those changes. 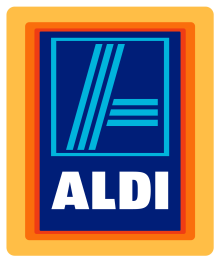 Aldi took out certified synthetic colors, partially hydrogenated oils, and MSG. The change has already begun, and by the end of the year, none of the undesirable ingredients will be in any of the foods in Aldi’s private label line of products. In addition, Aldi’s SimplyNature line of products was already free of more than 125 ingredients that consumers have spoken out against. Aldi has also expanded its organic produce options. This gives consumers that are trying to bring home healthy food for their families more options to choose from, and at lower prices than they might find in other grocery stores. MSG is an abbreviation for monosodium glutamate. It is one of the undesirable ingredients that Aldi has removed from their private line of products. MSG is a flavor enhancer that the Food and Drug Administration (FDA) defines as “generally recognized as safe”. Some people have no ill effects after eating food that contains MSG. Others can experience side effects that are known as “MSG symptom complex”. Those symptoms can include headache, flushing, sweating, facial pressure or tightness, numbness, heart palpitations, chest pain, nausea, or weakness. Researchers have not found a definite link between MSG and those symptoms. Some parents of children who have ADHD, FASD, or autism, like to avoid foods that contain fake dyes and artificial colors. Many believe that the fake coloring in food dyes has an impact on children’s behavior. There are those who feel that certain artificial food dyes set off symptoms in children who are prone to hyperactivity. You may have noticed a trend that is happening in grocery stores. Many stores have created their own brands of organic products. In addition, they are including more products that are allergy-friendly. It has been said that the food industry is undergoing a “tectonic shift”. What is a tectonic shift? 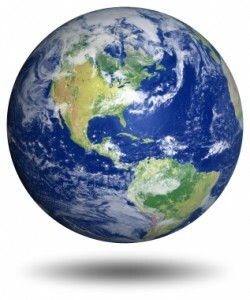 It is the name of a process that occurs when the plates that make up the Earth’s crust move. Land masses move closer to, or farther from, each other. Over time, this changes how the world looks. People also use the phrase “tectonic shift” to refer to a change that has a strong and widespread impact. For example, the phrase has been used to explain a change in voting patterns. Right now, the way the food industry functions is going through a big enough change for people to apply the phrase “tectonic shift” to it. What does that change consist of? Whole Foods Market co-CEO Walter Robb said that the “tectonic shift” in the food industry is one that is resulting in a push toward greater transparency and sustainability. It appears that this push is largely coming from the millennial generation. For Whole Foods, the shift is going to cause many changes. It has influenced the creation of a new customer loyalty program. It also pushed Whole Foods to become more transparent about what’s on the shelves. People want to know what is in the food they are choosing for their families. Transparency is important for people who strive to feed their families the very best foods. This is why consumers select organic products over non-organic ones. It is why people who have a family member with a food allergy take the time to read all of the ingredients on a food label. The more transparency, the less chance of an accidental ingestion of an allergen. The other way the “tectonic shift” is affecting Whole Foods has to do with the environment. The company has created a rating system that takes into account holistic and “progressive practices” on the farm. This includes things like recycling and water. Overall, this gives the consumer greater transparency about where their food comes from (and how it was grown). Whole foods also cut the amount of energy it uses in its freezers by 40% in the past five years. One way it did this was by adding doors to the freezers. You may have noticed other stores have the lights off in their freezers (until a customer walks by or opens a door). The “tectonic shift” is affecting all grocery stores, not just Whole Foods. Overall, this will result in consumers being able to access healthier food that was grown in situations that are good for the environment. Simple Truth is Largest Organic Brand in U.S.
What is your favorite brand of organic food? If you shop at Kroger, the first brand of organic foods that come to mind might be one called Simple Truth. It is currently the largest organic brand in the United States. The word “natural” on a food label doesn’t actually mean much of anything. There is little regulation about what foods can use that particular word. The Food and Drug Administration (FDA) has not developed a definition for the use of the term natural or its derivatives. 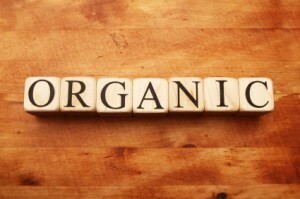 The word “organic”, however, cannot be used on every food label. It can only be used on foods that meet certain regulations and criteria. 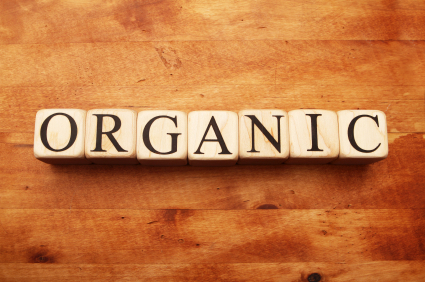 Organic products do not contain GMO’s, artificial preservatives, or artificial colors. Organic foods are grown without the use of synthetic fertilizers and pesticides. Many consumers are seeking out organic products for health reasons. Simple Truth is Kroger’s organic food brand. It was created as a response to customers’s shifting over to organic foods. Food Dive reports that natural and organic foods accounted for $11 billion in sales for Kroger over the past 12 months. CNN Money reports that Kroger’s sales of products in their Simple Truth brand hit $1.2 billion in 2014. Part of what makes that brand so popular is that it is sold at a lower price than the 365 line from Whole Foods. Interestingly, it appears that consumers who were going to Whole Foods for organic products have taken notice of Kroger’s Simple Truth line. 365 by Whole Foods Market stores were intended to compete with Trader Joe’s. The goal was to offer lower prices on produce and perishables than could be found on similar products in the “regular” Whole Foods stores. Their target market was empty-nesters, Millennials, and young upwardly mobile shoppers. Whole Foods may not have taken into account the group of customers who want to eat organic products, but who don’t have the budget to shop at Trader Joe’s (or the “regular” Whole Foods store). If you’ve been wanting to eat more organic products, but found it difficult to afford, you might consider going to Kroger. The thing to be aware of is that Kroger offers two similarly sounding product lines. One is called Simple Truth, which includes “cleaner” ingredient statements. The other is called Simple Truth Organic, which is USDA organic certified. Customers can make their own decisions about which to buy. One of the ways that Americans can get the attention of Congress is via lobbyists. For years, the big food and beverage companies have used lobbying to get their way in everything from what qualifies as a vegetable in a school lunch to what shows up on a food label. It might be time for people who are proponents of real food to get political. Politico notes that many health-conscious food companies do not have lobbyists. As a result, Congress is hearing a whole lot from “Big Food” companies – who do have plenty of lobbyists – and not hearing much of anything from the other side. Here are some simple things you can do to fight for real food. It has been said that voting with your dollars is an effective way to create change. Stop purchasing food products from companies that sell foods and beverages that are bad for people’s health. Spend your money on the companies that support free trade, that sell unprocessed foods, that do not include antibiotics in their food, or that recycle. In order to be effective at this, you have to do some homework. Big food companies are starting to buy up some of the smaller companies that have a reputation of producing good food. Check to see who owns what before shopping. Want to make sure that the produce you purchase is fresh and local? Buy it from the farmers’ market. Hand your dollars directly to a local farmer. You can be absolutely certain that the fresh produce you buy from a local farmer is the real thing. It definitely has not been processed, and it shouldn’t have any extra sugars added to it. Buying local food is good for the environment, too. The food you buy at the farmers’ market doesn’t have to travel far to get to you. That’s better for the environment than produce that is stored in freezers for months before being placed on a refrigerated truck and driven across the country. Want to have your views heard by the politicians who represent you? Send your Senators and Representatives an email in which you describe your concerns about things like the content of school lunches, the amount of antibiotics in foods, or whatever other food concerns you have. Let them know what you want them to do. In addition, be on the lookout for petitions that appear on social media. Sign the ones that ask “Big Food” companies to make changes to their ingredients (so their food will be healthier). The great thing about petitions is that it collects up signatures of like-minded people. Some people choose a gluten-free diet because it is a fad, or because they think it will help them lose weight. There are also many people who have to eat a gluten-free diet because they have celiac disease, a gluten intolerance, or an allergy to wheat, rye, and barley. Either way, it quickly becomes clear that gluten-free foods are more expensive than the “regular” kind. Here are some tips to make eating gluten-free less expensive. People who need to eat gluten-free because of diagnosed health issues should always read the label of any food they are considering consuming. Find out what all the ingredients are. Check to see if the product was made in shared equipment that was also used with wheat, or if traces of wheat could be in the product as a result of how it was processed. There are plenty of brands that are dedicated to being gluten-free. Sometimes, these products can be more expensive than the gluten-free versions produced by the big brand names. For example, it is now possible to find gluten-free Cheerios and gluten-free Rice Chex. They might cost less money than a cereal from a dedicated gluten-free brand. There are some foods that do not contain gluten (unless some company intentionally chooses to add it in). Unflavored popcorn is gluten-free. Some brands of potato chips are also gluten-free. Look for the “plain” flavor. (Seasoned potato chips could have gluten in them). Vegetables and fruits are always gluten-free. Buy canned or frozen vegetables (that don’t have added flavors or seasonings) and they will last a long time. 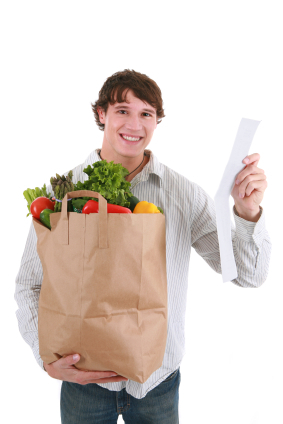 You can get a good price on fruits and vegetables when they are in season. The best thing about fresh produce is that it you can be certain that there is absolutely no wheat in it. Gluten-free packaged pastries can be really expensive. It can feel unfair that the safe, gluten-free, box of cookies contains less product and cost more than the “regular” wheat filled versions. One way to cut down on the costs of gluten-free treats is to make your own version at home. There are now plenty of gluten-free flours to choose from. These include flour made from: rice, almonds, coconut, sorghum, potato, black beans, garbanzo beans, and fava. You might also need xanthan gum (to help the gluten-free flour stick together). These gluten-free flour options make it easy for people to bake up a big batch of cookies that are safe for them to eat. You will likely be able to make two or more batches from one package of gluten-free flour, and the package of xanthan gum will last for several batches. The cost of the purchase gets spread out over several batches of treats. Are you uncomfortable about handing out sugar filled candy to the trick-or-treaters that will come to your door on Halloween? There are plenty of healthier alternatives. Some families are choosing to hand out non-food treats instead of candy. The Teal Pumpkin Project was created by the FARE (which stands for Food Allergy Research & Education). The goal of the Teal Pumpkin Project is to make trick-or-treating safe for children who have food allergies. It promotes the safety, inclusion, and respect of kids who have food allergies, who are diabetic, or who have otherwise cannot eat certain foods or need to limit their sugar intake. Not sure what to pick? FARE can make things really easy for you. They sell Teal Pumpkin Project Trick-or-Treat Goodie bags. Each comes with a selection of 50 non-food treat goodies, including 20 Halloween sticker packs (8 per pack), 10 bouncy balls (latex free, not for kids under 3 years old), 10 orange and black rope friendship bracelets, and 10 Halloween pencils). Order before October 15, 2015, and you can receive your bag in time for Halloween. Another option is to visit your local dollar store and look for packages of non-food items to hand out. You might find Halloween pencils and erasers. One package of plastic army men, farm animals, or dinosaurs can be opened up and handed out to dozens of children – one toy at a time. Those who do not celebrate Halloween, but will be participating in a “trunk-or-treat” or a fall festival at their church, might consider handing out non-food treats this year. 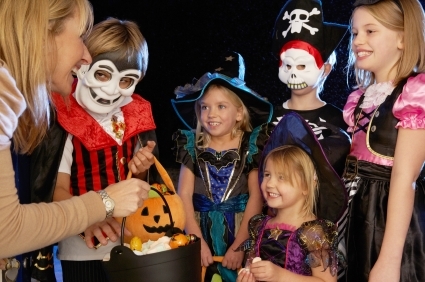 It is a great way to avoid handing out a lot of sugar filled candy. It also shows compassion and respect for the kids who have food allergies. You will be giving these kids the opportunity to safely participate in the fun.